On my third night in Mallorca, we once again went to eat at the Marina and so I was feeling a nautical outfit. 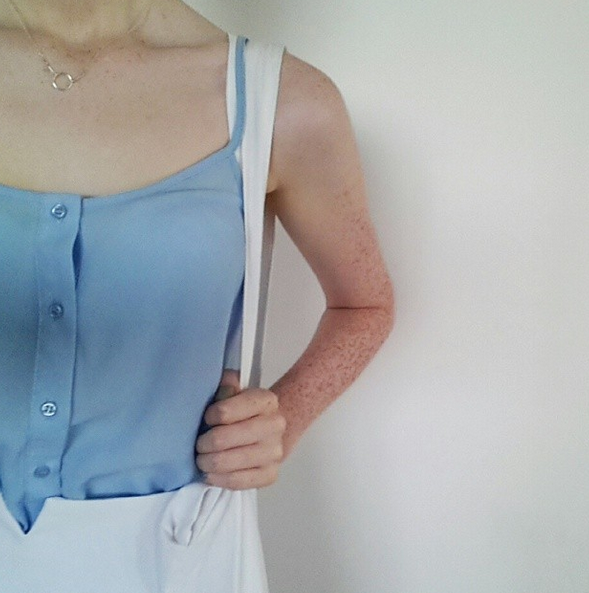 I have fallen in love with the colour baby blue recently and so I really liked this outfit. I paired a baby blue button down Topshop cami with my high waisted Missguided shorts and my white Primark dolly shoes. I carried with me my white cotton bag and wore my Dogeared Karma necklace and Pandora ring. I tied my hair back in a tight bun and created a bronzed make up look. I used Benefit Oxygen Wow as my base and powdered my Chanel Les Beiges. I contoured my cheeks with Nars Laguna Bronzer and wore MAC Vegas Volt Lipstick.